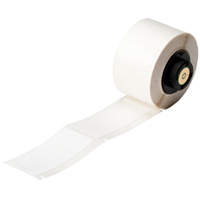 Repositionable vinyl cloth material for wire, cable and component marking. 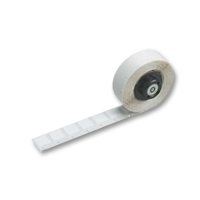 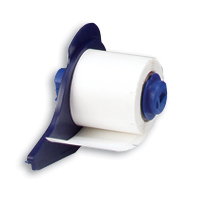 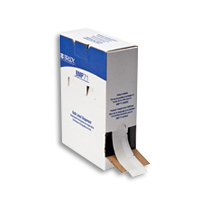 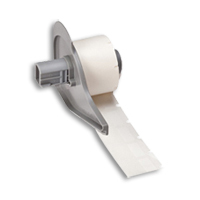 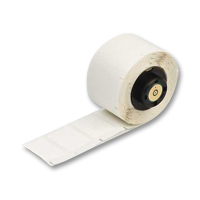 Adhesive and cloth backing offers excellent holding power, while easily being repositioned and removed. 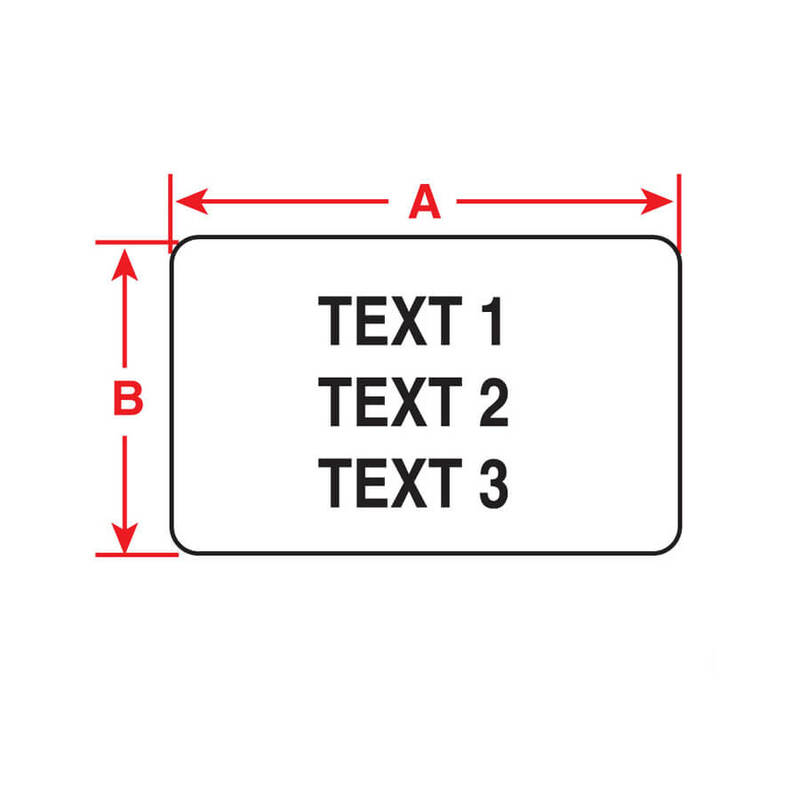 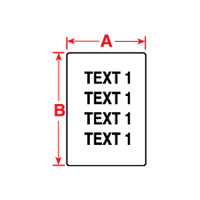 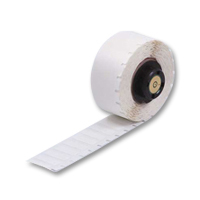 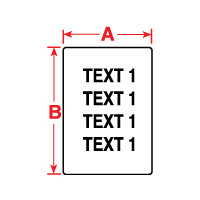 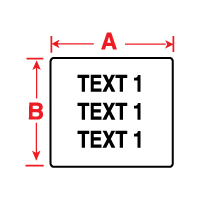 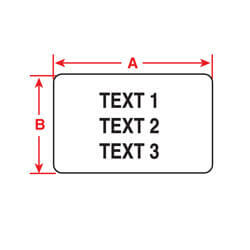 Brady PTL-15-498 TLS2200 Vinyl Cloth Labels, (A) 1" x (B) 0.275"
Brady PTL-7-498 TLS2200 Wire and Cable Vinyl Labels, 500, (A) .5" x (B) .5"
Brady PTL-10-498 TLS2200 Vinyl Cloth Labels, (A) 0.75" x (B) 0.2"
Brady PTL-11-498 TLS2200 Wire and Cable Vinyl Labels, 500, (A) .5" x (B) .75"
Brady PTL-17-498 TLS2200 Vinyl Cloth Labels, (A) 1" x (B) 0.5"
Brady PTL-16-498 TLS2200 Wire and Cable Vinyl Labels, 500, (A) 0.375" x (B) 1"
Brady BM71-18-498 BMP71 Repositional Vinyl Cloth Labels, 0.75", 1"
Brady PTL-18-498 TLS2200 Wire and Cable Vinyl Labels, 250, (A) .75" x (B) 1"
Brady PTL-19-498 TLS2200 Wire and Cable Vinyl Labels, 250, (A) 1" x (B) 1"
Brady PTL-28-498 TLS2200 Wire and Cable Vinyl Labels, 750, (A) .25" x (B) 1.5"
Brady PTL-30-498 TLS2200 Wire and Cable Vinyl Labels, (A) 250, (B) .75" x (C) 1.5"
Brady PTL-31-498 TLS2200 Wire & Cable Vinyl Labels, 250, (A) 1" x (B) 1.5"
Brady PTL-32-498 TLS2200 Vinyl Cloth Labels, (A) 1.5" x (B) 1.5"